Draft beer is one of the big attractions to any bar worth its salt. People all around the globe are frequenting their favorite spots to get to cold, sudsy, refreshing beers from the tap. People love tap beer because they can try new flavors or go with their trusty favorites. The beer is cold, looks great in the mug, and always tastes good. This happens because the draft beer has been stored, taped, poured correctly. Here’s how to ensure that happens. Operating a bar is no easy feat. Not only are the hours long and the patrons sometimes a headache, a bar owner needs to be a good business man. Beer is not just fun, it’s business. It takes more than a love of beer and good times to run a successful bar. 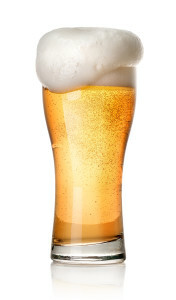 One of the staples of a profitable bar is draft beer. However, it’s easy to let those profits slip away one spill at a time. Fortunately, there are some ways to control the flow of beer and limit the amount you are losing. Opening a bar is one of the most exciting things to do in the food industry. You have a great opportunity to create your own culture and atmosphere. Maybe you own a restaurant and you are considering launching a bar to mix things up. A bar can significantly improve the appeal of a restaurant as well as the bottom line. However, you need to do it right. 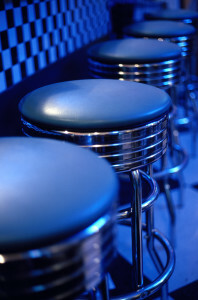 A poorly equipped and run bar can become a sore point with new and return customers. You have probably heard that you should clean your beer lines. In fact, you may have heard that it is one of the most important things you can do to maintain your quality of beer and of course, customer satisfaction. 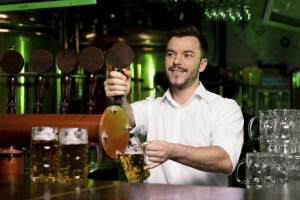 Cleaning your beer lines is not only important, but vital to your bar. There’s nothing better or more refreshing than an ice cold beer. One of the worst things that could happen is running out of beer. Of course there are several places you can go and restock your stash. The problem is, it’s never nearly cold enough off the shelf. To counter this, many methods for cooling and keeping beer cold have been invented. Some of these methods work better than others. In order to determine the right choice, you need to decide you budget, your purposes, and how much space you need. So you decided to get a home draft beer system installed in your house. This will be a choice you will not regret. There is nothing like having a party at your house with tap beer or simply relaxing with a few friends. 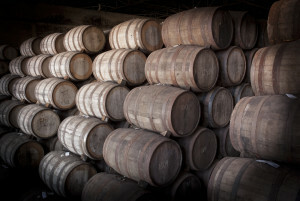 Whether your home bar is in the man cave, the garage, or somewhere else, good times will follow. However, proper installation is vital. Make sure you have a qualified and experienced professional installing your beer lines. There are several pieces of equipment which your beer lines tech will install. They will work to power your kegerator so that you can enjoy the beer inside. It is a good idea to have an understanding of what they are and what their functions are. Life is about making the best out of what you’ve got. The brilliant paper clip is just a bit of metal wire. Sticky notes are just bits of paper with adhesive on them, adhesive which is too weak to use for anything else. So your garage is too full of junk to park your car in it, but it’s not finished nicely, so you can’t enjoy it. Why not turn it into your own personal little bar? You’re probably one of two guys, either the guy already described whose garage is filled with some junk, an old volleyball net, and a broken lawnmower. Or you’re the cold, calculated type who’s been planning this all along, you’ve just been waiting for your co-inhabitants to sign off on the idea. Either way, it’s time to get started. 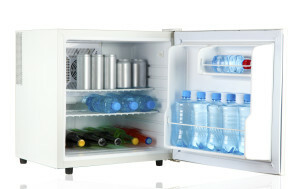 Is Your Ice Maker Not Working? A commercial-grade ice maker is a useful tool at any house for get-togethers, parties, or other social events or business during the summer months where the drinks are cool and the ice must flow. However, without proper maintenance these machines can break down, leaving you without ice when you need it most. If you have an ice maker which isn’t making ice, here are some tips to get it back up and churning out refreshment for you and your guests. There you are, stooping over a keg of beer, trying to figure out how to tap it. You’re surrounded by people telling you what to do, but it’s not seeming to work. You might be hosting a backyard barbeque, a pool party, a bonfire, watching a Saturday night baseball game, or taking a road trip to the beach with some friends. No matter what your idea of a good summer party is, there is one ingredient common to all summer parties: a good keg of beer. The only problem is, you can’t figure out how to tap a keg of beer. With the muggy days of summer doing their best job of smothering us, there’s nothing better than a big mug of cold beer at the end of a long work day. This is why the best bars bring out a big mug covered in cold, frosty, goodness. It seems like the coldness has a refreshing element all by itself. Restaurants often use mug chilling devices to serve beer at the perfect level of frostiness. But there are cheaper, simpler ways to make your own ice cold mugs.